Researchers compared the effects of three bone growth factors to bone morphogenetic protein 2 (BMP2)—the most commonly used agent for repair of large bone defects, which is not without risks at the doses required—and showed significant bone-healing effects including the formation of new blood vessels at low doses relative to BMP2. 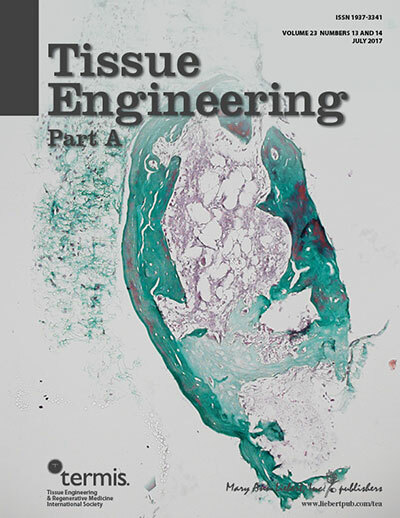 These findings, which suggest that the osteogenic factors Nell-1, HMGB1, and CCN2 could enhance bone defect repair using biomaterials, without the need to harvest patient tissue, are reported in Tissue Engineering, Part A. The article entitled "Nell-1, HMGB1 and CCN2 Enhance Migration and Vasculogenesis, But Not Osteogenic Differentiation Compared to BMP2" is coauthored by Shorouk Fahmy-Garcia, Marjolein van Driel, Janneke Witte-Buoma, Johannes van Leeuwen, Gerjo van Osch, and Eric Farrell, Erasmus Medical Center, Rotterdam, The Netherlends, and Heike Walled, University Hospital Würzburg, Germany. In this study, the researchers directly compared the proteins BMP2, Nell-1, CCN2, and HMGB1 for their ability to recruit endothelial cells to the site of repair, promote the differentiation of two types of progenitor cells (mesenchymal stem cells and fetal osteoblasts) into mature bone cells, and induce the formation of new blood vessels. 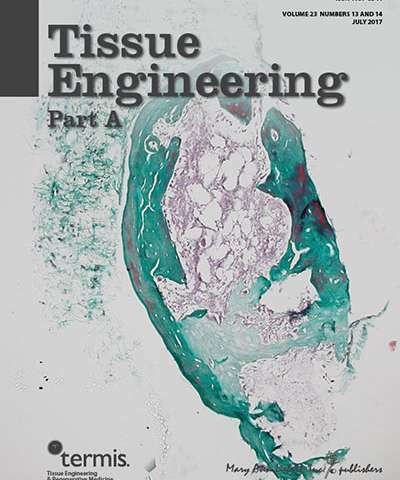 "The magnification of our understanding of best growth factor choices for bone repair-including the optimization of dosing to prevent side effects-is adding considerably to our capacity to control outcomes in bone tissue engineering," says Tissue Engineering Co-Editor-in-Chief Peter C. Johnson, MD, Principal, MedSurgPI, LLC and President and CEO, Scintellix, LLC, Raleigh, NC.